Meaningful math conversations are more than just exchanges of ideas. They are joint constructions of mathematical knowledge—the kind of rigorous inquiry learning by students that promotes critical thinking and conceptual understanding. What are the characteristics of these academic conversations? What are the roles and responsibilities of teachers and students in this kind of talk? 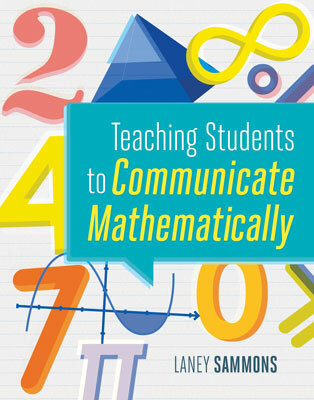 How can teachers encourage and support mathematical conversation by students? In this webinar, participants will examine both the benefits of student participation in constructive mathematical conversations and specific strategies for promoting them in the classroom. This webinar offers practical, classroom-tested suggestions for creating a vibrant learning community in which students hone their thinking skills, increase their mathematical understanding, develop the sense of being a part of a mathematical community, and gain confidence in collaboratively exploring mathematical ideas with their peers as they talk about their mathematical thinking. Specific instructional strategies to support and encourage students' productive math talk will be explored. Participants will learn how to create a sense of mathematical community within their classrooms in which students are comfortable talking about their mathematical thinking with their classmates. The webinar will explore strategies for teaching students to listen and speak effectively, as well as for helping students develop a comprehensive understanding of mathematical vocabulary terms and the ability to use these terms to express their mathematical ideas clearly and with precision. Laney Sammons was a classroom teacher and instructional coach for 21 years before becoming an educational consultant. Since retiring from the classroom, she has worked with teachers of all grade levels throughout the United States and Canada to help them improve their mathematics instruction.